Siyatha FM Sri Lanka Radio Live Streaming Online . 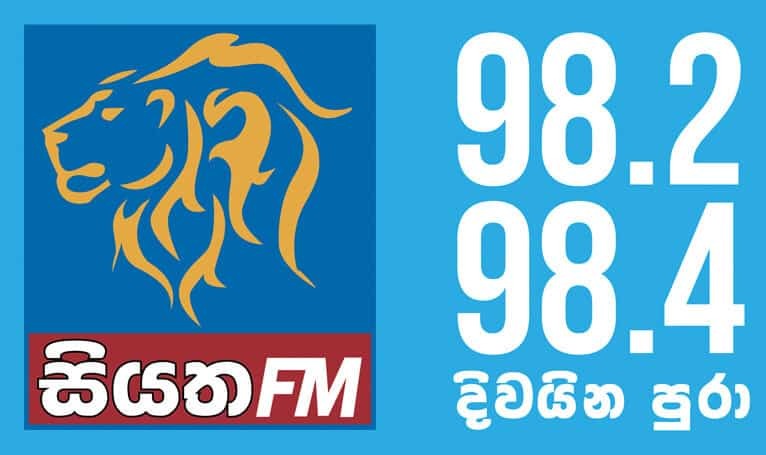 Listen over 60 Sri Lanka FM Radio Stations live Online . Enjoy Live Stream of Srilankan Music News 24 by 7 Online . ALL FM stations Plays well in Google Chrome or Mozilla Firefox browsers. 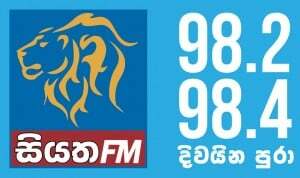 Siyatha FM Live is available on 98.2 MHz , 98.4 MHz in Sri Lanka. It is owned by Voice of Asia Pvt Ltd. FM will start playing automatically. You may need to install Adobe flash player to listen this station.Refresh the page once if fm stops in between. Scroll down to see play,pause,stop buttons.Please click Contact Us button to contact and let us Know if you face any problems in listening to any of the Stations . Note: we are not broadcasting any of these FM Stations. We are just providing Stream URL with the needed softwares.